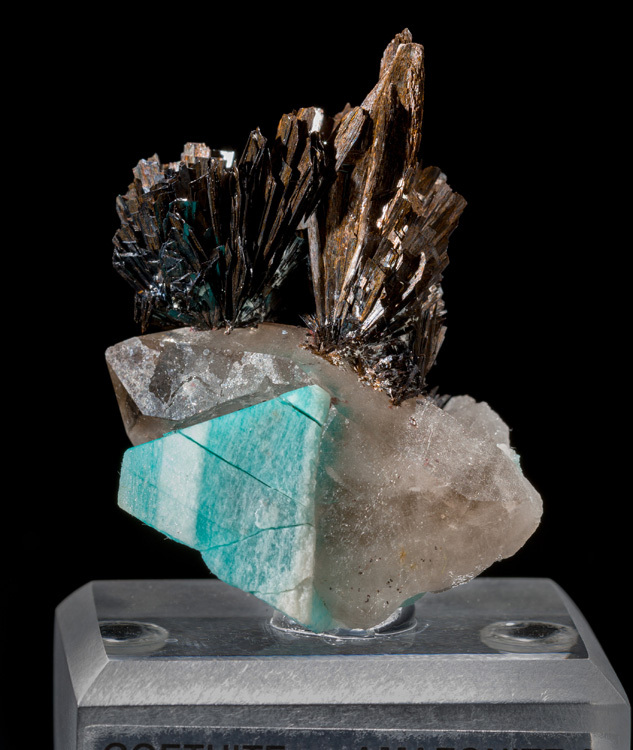 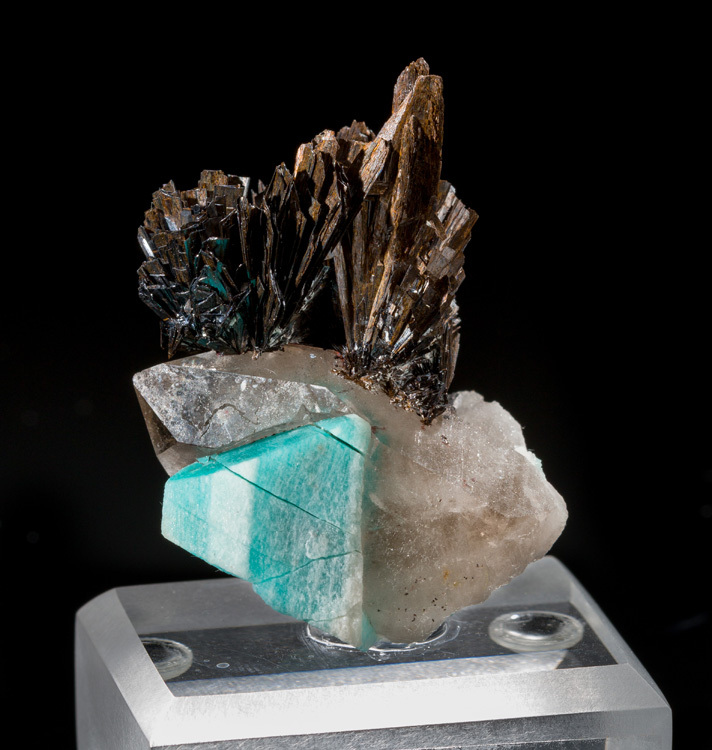 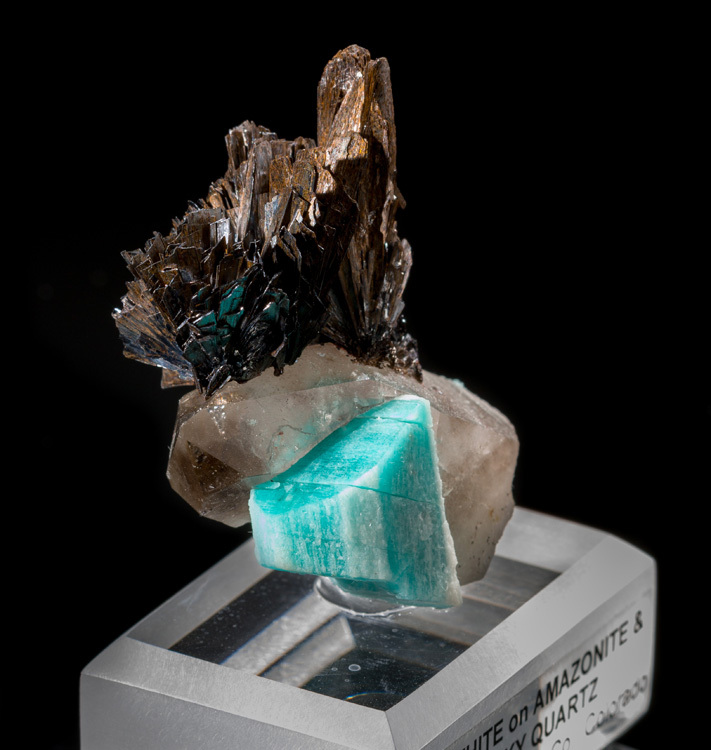 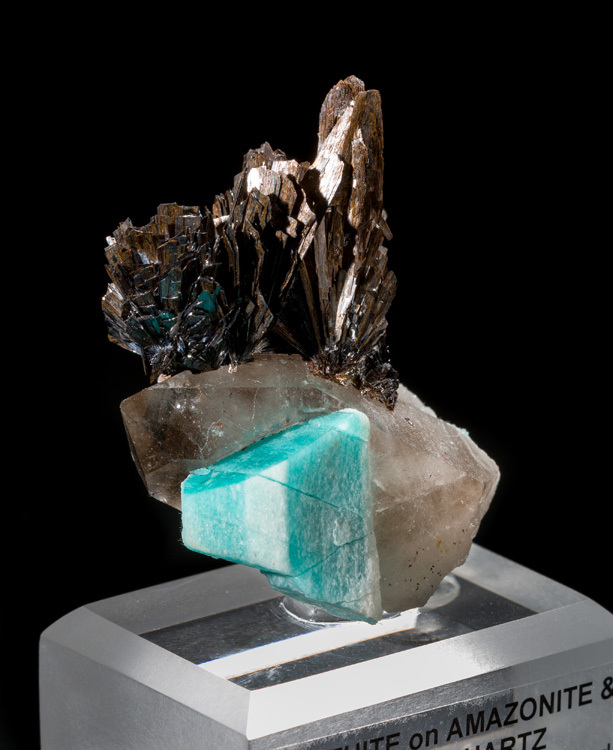 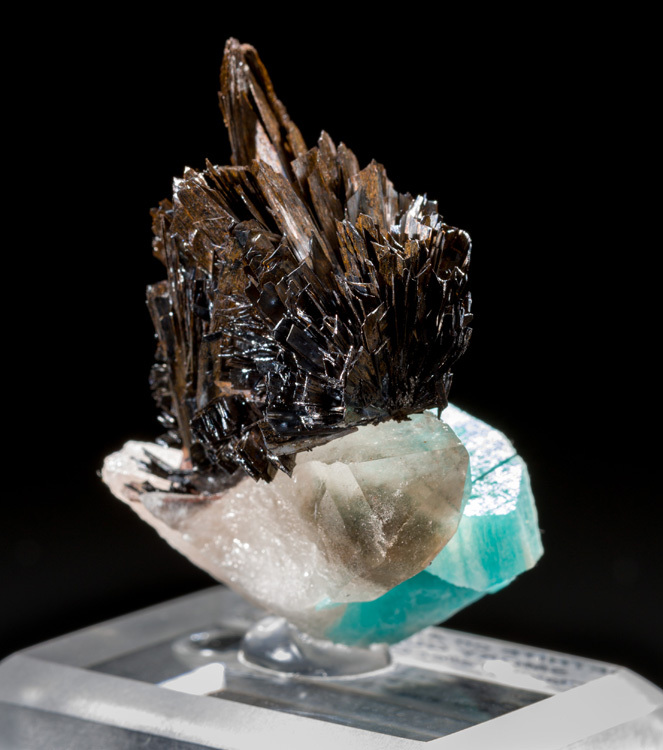 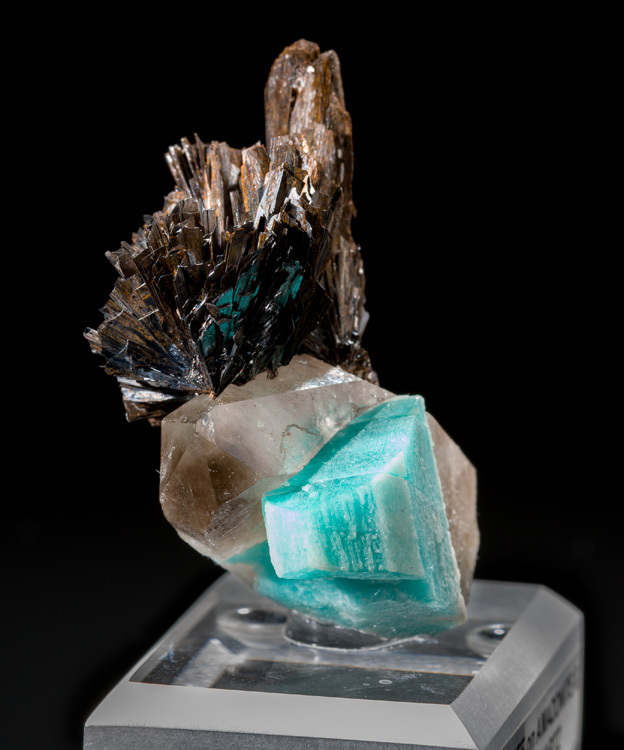 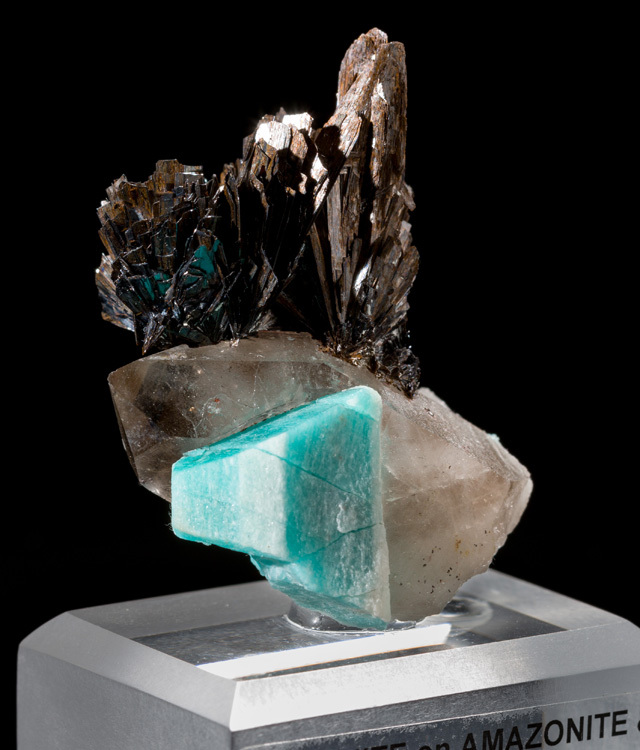 Here is a remarkable little gem of a mineral specimen with outstanding aesthetics! 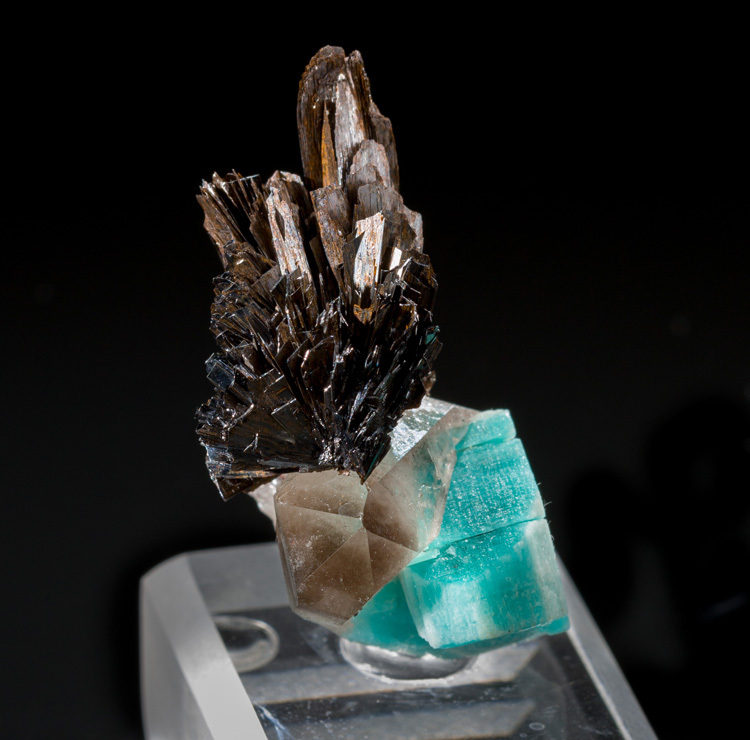 In this combo we have Goethite growing off one side of a slightly smoky quartz crystal, and on the other side is a banded Amazonite crystal. 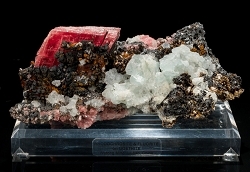 Truely an incredible find! 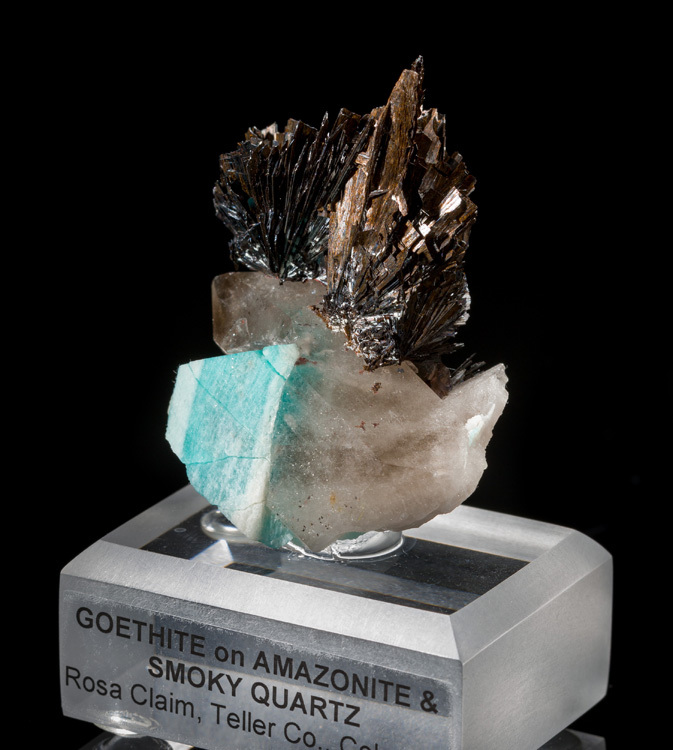 The quartz crystal is lightly smoked and very transparent near the perfectly terminated tip. 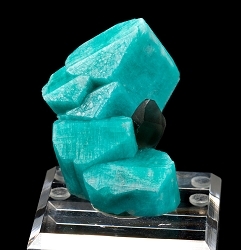 The Amazonite is banded with white and teal coloring. 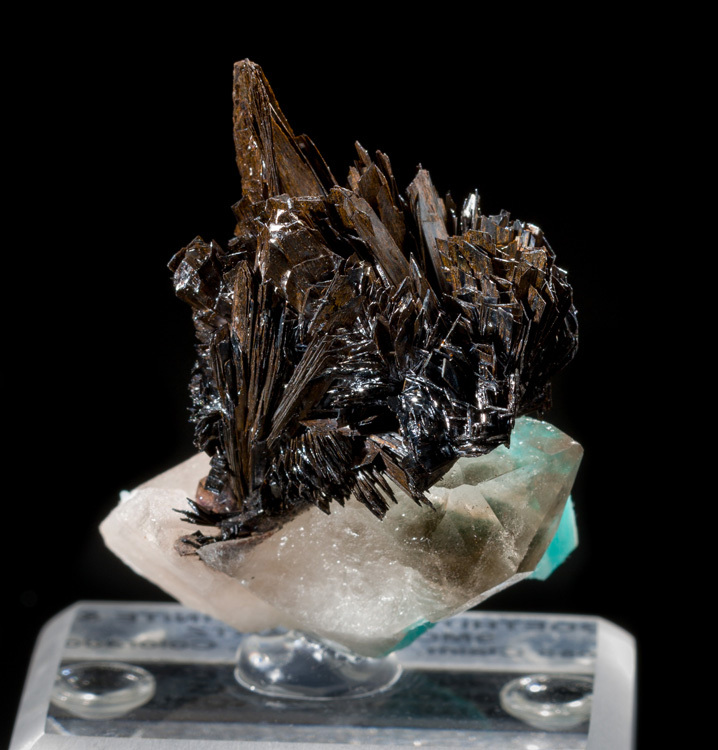 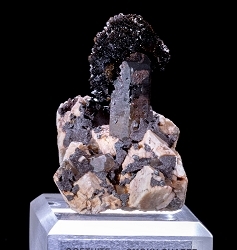 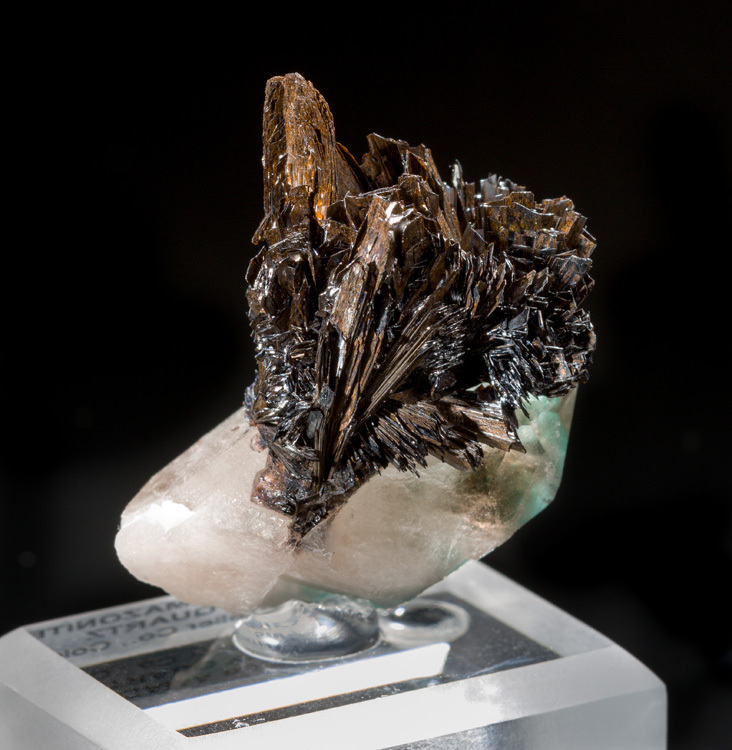 The Goethite is a black-brown with a good amount of shine.